Recently in Dublin Google has honoured best of the best. 145 agencies of 32 countries competed for 8 awards. Two of them will come to Łódź. 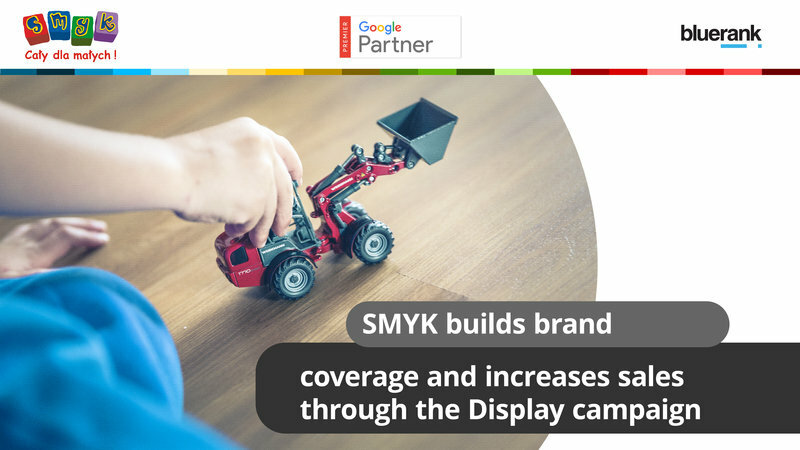 In the Display Performance Award category Bluerank’s campaign for the Smyk brand turned out to be the best. The Agency was also awarded in the most prestigious category of the competition - Outstanding Premier Partner Award. Bluerank’s CEO Maciej Gałecki and Managing Director Zbigniew Nowicki collected the prizes in Dublin. This was a first edition of the Google Premier Partner Awards 2016 competition honouring agencies which, due to the campaigns they prepare, highly contribute to the digital marketing by exceeding quality expectations. Business efficiency of the campaigns as well as the whole of the agency’s activities are assessed in the process, and only the best agencies qualified with Premier Google Partner status. I am especially proud of the prize in Outstanding Premier Partner Performance Award category, as we are the only agency awarded at this level, not only in Poland, but throughout Europe. This prize very well illustrates the efficiency of our activities and satisfaction of our customers – and this is of utmost importance to us. The other prize is also very valuable, as it is the result of collaboration with the SMYK brand. 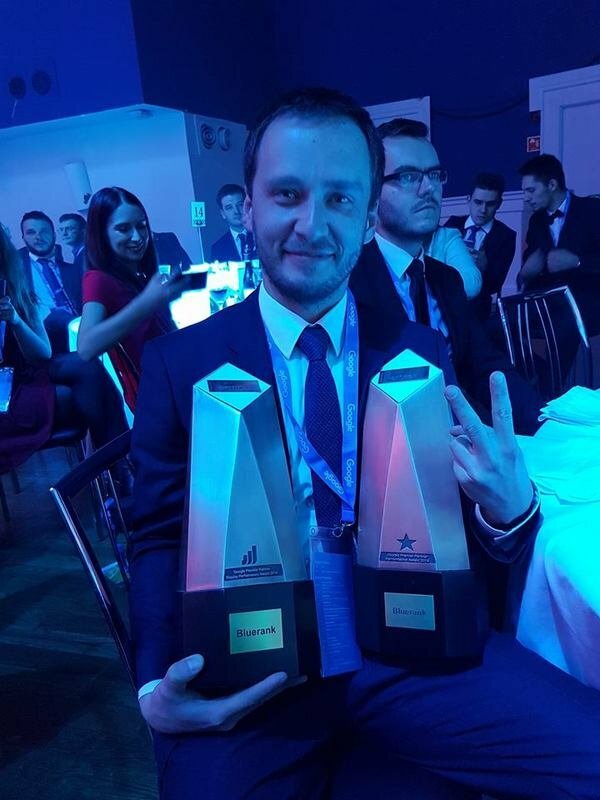 It is a great pleasure to work with such business partners and win awards for them - says Maciej Gałecki, CEO Bluerank. In this year’s edition, Google nominated 145 agencies from 32 countries of the EMEA region (Europe, Middle East, and Africa). The awards were granted in 8 categories. Out of all agencies qualified for the competition, Bluerank received a record-breaking number of 6 nominations. During the final gala Bluerank was the only Polish agency to be honoured with the prize, and the only in the whole competition that collected 2 prizes. OUTSTANDING PREMIER PARTNER PERFORMANCE AWARD 2016 - for the outstanding performance for business partners. These are yet another significant awards in the agency’s portfolio. This year Bluerank has already been awarded for the campaign carried out for Leroy Merlin in Best Use of Content Marketing Category.